MTU Friedrichshafen and the Spanish shipbuilder Navantia signed a strategic long-term cooperation agreement that extends the existing cooperation, enhancing the long-term relationship that both companies have had during the last 40 years. 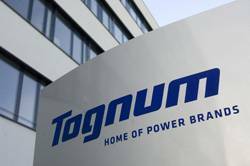 Navantia chooses the Tognum Group company MTU Friedrichshafen as a primary partner for its ships’ propulsion systems. In addition to the existing license agreements for the commercialization and manufacturing of MTU Series 396, Series 956 and Series 1163 marine engines a common training center is to be established. In this training center in Cartagena customers of MTU and Navantia, employees of Navantia and MTU Ibérica as well as service dealers will be trained in engine maintenance and service. Furthermore, both companies plan to offer a so called Through Life Support to Navantia customers: a maintenance concept for the complete ship. MTU will support this concept with its service solutions for the propulsion systems and with its world-wide service network. Examples for vessels that were built by Navantia and powered by MTU engines are the Spanish Meteoro Class offshore patrol vessel and the Venezuelan Guaicamacuto Class and Guaiquerí Class patrol vessels. These ships are equipped with MTU Series 1163 marine engines for main propulsion, Series 2000 marine gensets for onboard power and Series 60 standby-power gensets.